Bronwen is the Head of the Department of Management and Director of the Masters of Community Management Program at the University of Technology, Sydney. Bronwen completed her DPhil at the University of Oxford, where she was awarded the Oxford University Larkinson Award for Social Studies and was the recipient of the British Vice-Chancellors Committee Overseas Research Scholarship and the Korea Foundation Scholarship. Bronwen also has a BA from the Australian National University and a MA from Yonsei University, Korea. 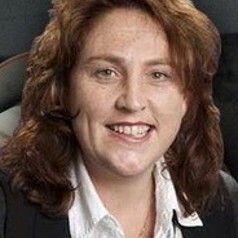 She is on the Boards of the Federal Department of Foreign Affairs’ Australia Korea Foundation; the National Volunteering Research Advisory Group; Volunteering NSW and Volunteering Australia and the publications committee of the US’ Association for Research on Nonprofit Organizations and Voluntary Action (ARNOVA) and is Regional Vice-President, Oceania of the International Council of Voluntarism and Civil Society. Bronwen has conducted extensive research in the field of Not-for-Profit sector studies. Bronwen also researches in the field of Korean studies and has recently co-authored a book on Korean women in Australia and journal articles on developments in North Korea.